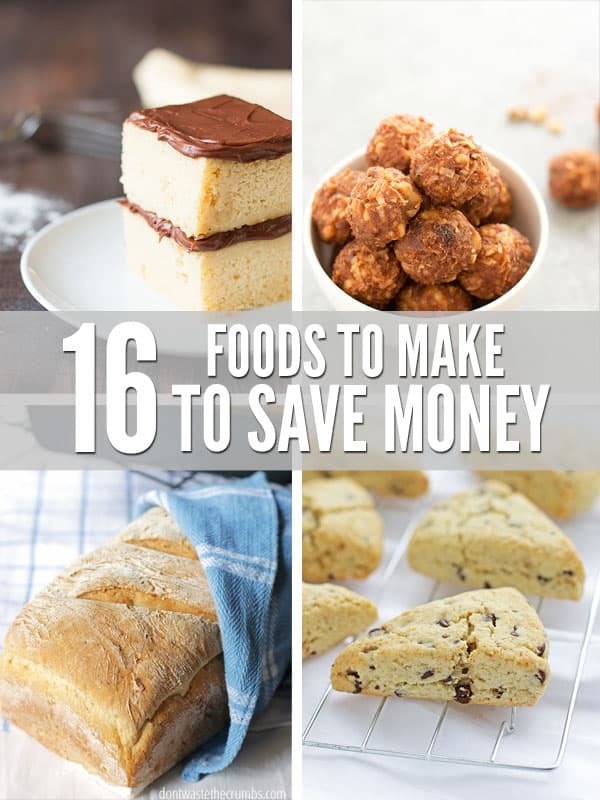 16 Foods to Make from Scratch to Save Money | Don't Buy these Foods! One thing I learned early on after switching to real food, is that it requires a lot more time in the kitchen. You CAN save a lot of money by making most meals and snacks (like homemade larabar bites) from scratch, but the downside is it can take A LOT of time. More time spent planning, preparing, cooking, and cleaning up… I’m guessing you don’t have all day to spend in the kitchen, right? The season of life with little ones underfoot is not far from my memory. I remember the days when it was hard to get five minutes in the shower, let alone spend an extra 15 minutes in the kitchen! The school age years are upon us now and life is busy going from here to there and keeping up with the kids’ activities. Whether you’re busy with little ones, school-age kids, multiple jobs or other important aspects of life, it is a challenge to manage some extra time to cook from scratch. Sometimes it just isn’t worth it – your sanity IS important! 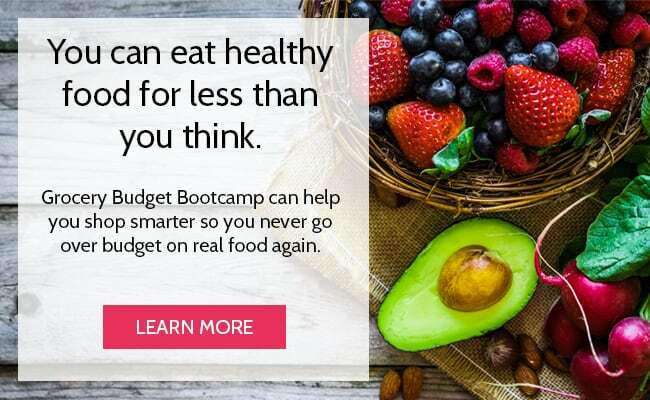 But if you are determined to make food at home and can squeeze in a few chunks of kitchen prep, it will make a difference in your grocery budget. When you are deciding whether it’s better to make food from scratch or buy it from the store, consider these three factors. What you eat or don’t eat often. It’s not very helpful to spend your time making a month’s worth of beans if your family won’t eat beans. However, if your family loves salsa, it is worth the time to make fresh salsa from scratch. Your time is best spent making food from scratch that your family will eat. The nutritional value. When you make food at home, like salad dressings, you are able to avoid weird ingredients and processed sugars. It doesn’t take very long to make dressings and condiments from scratch. Prioritizing foods your family loves that have a high nutritional value is time worth spending in the kitchen. The amount of savings. Making food from scratch will almost always save you money. One instance where it does not is homemade coffee creamer. Yet, the nutritional value of homemade outweighs the difference in cost. 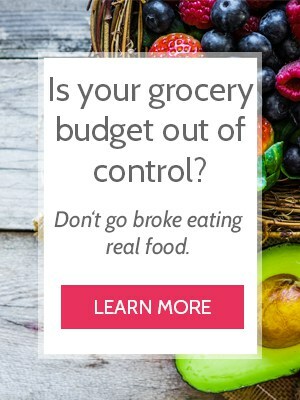 The amount of savings for you will vary depending on where you source your ingredients, but overall your grocery budget will look much better when you plan to make more foods from scratch. Taking these into consideration, there are 13 foods that I regularly make from scratch. I found that keeping these foods in my routine helps to keep my grocery budget right around $330 each month for my family of four. Note: I teach a whole lesson on cooking from scratch in Grocery Budget Bootcamp. 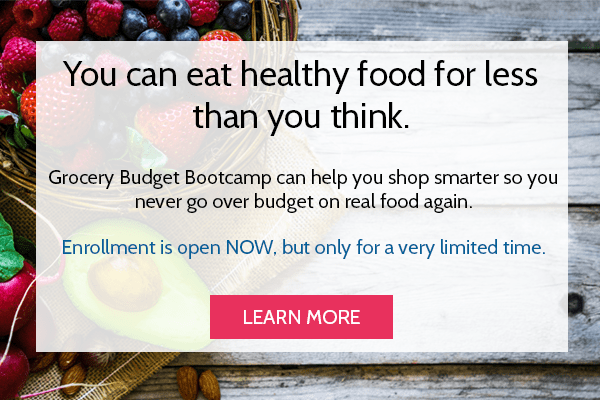 This 8 week course goes in-depth on balancing food priorities, the value of your time, and how to make the most of your budget! Making bread from scratch is much easier than it’s made out to be. With as little as four ingredients, you can make your own bread and avoid the unhealthy fats and processed sugars found in store-bought bread. You can also save A TON of money if your family eats bread on a regular basis. And if using yeast is a little overwhelming, this beginners guide to yeast can help. 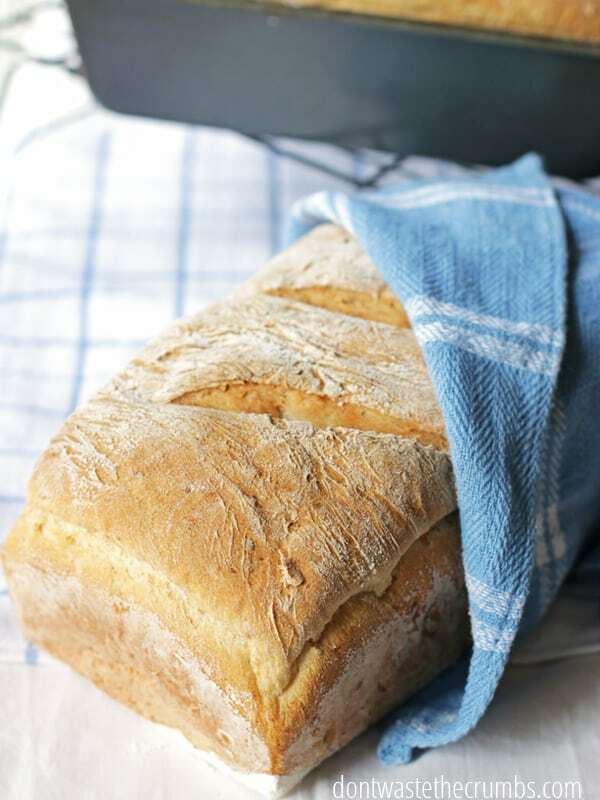 Extra Tips: Most breads can be started while you are cooking something else in the kitchen. Get the dough going and allow it to rise while the kitchen is already warmed up from cooking. Making bread on the same day every week makes meal planning much simpler, and if you can make extra bread one week, freeze it for the next! 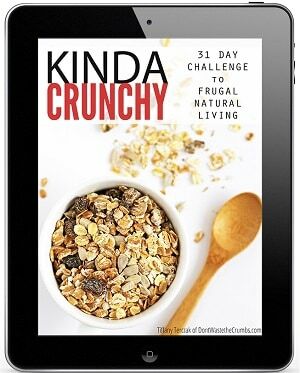 Yogurt is full of probiotics and healthy fats and is a real food staple in my kitchen. I have it every morning in my smoothie, but you can turn it into Greek yogurt, use it as a base for dressings, and substitute for sour cream in recipes. Extra Tip: Making yogurt doesn’t require any fancy equipment. I use a heating pad and incubate yogurt once a month on my counter top. 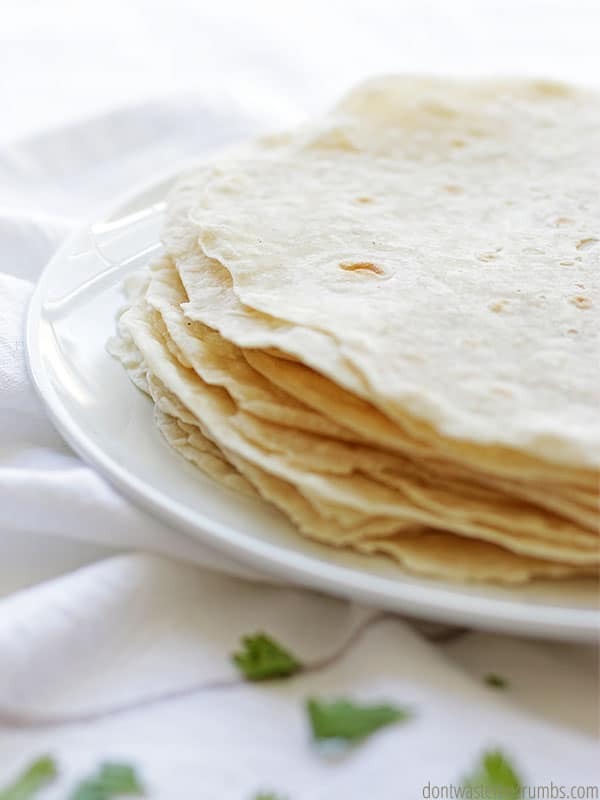 Extra Tips: Like many other baked goods, tortillas freeze well. I love to make up a big batch in the beginning of the month and have them ready to go. I can pull out just what we need when we need it. Homemade salad dressings are simple to make and a practical way to cut out processed ingredients. Ranch, Caesar, and Greek are on regular rotation at my house. The variety is endless and you really don’t need a lot of fancy ingredients. Extra Tip: Make a few dressings at the beginning of the month so they are ready to go. Salads are much more appealing with a delicious topping! It seems really convenient to grab an already cooked rotisserie chicken off the rack at the checkout line. But honestly, you aren’t getting the most bang for your buck. 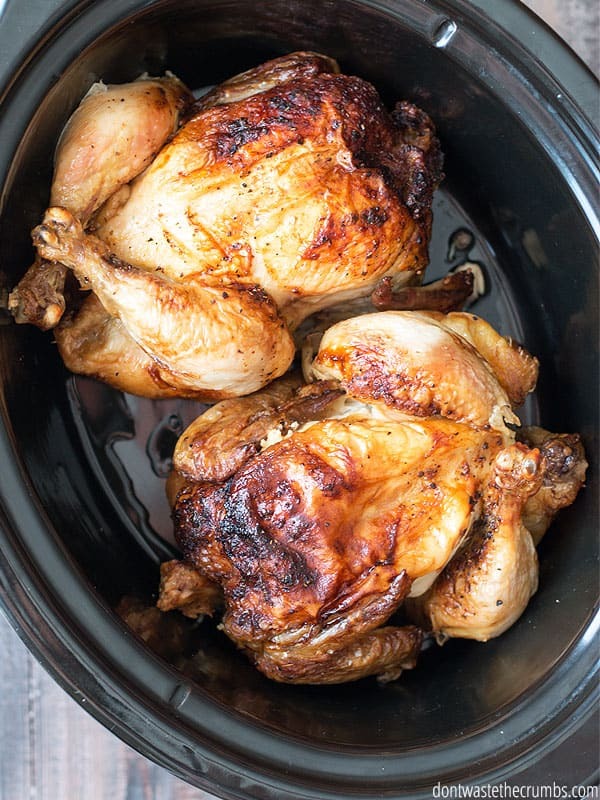 Most rotisserie chickens are very small (3-4lbs) and often coated in less than desirable seasonings. A whole chicken in the slow cooker is much more cost effective. (Or make it in the Instant Pot or in the oven.) You can get bigger birds and stretch the meat to make more meals. Here are over 30 meals to make with rotisserie chicken. If you eat chicken or soup, you need to be making chicken stock. It’s essentially a free food and doesn’t require much of your time. Chicken stock is a kitchen staple for real food families. When the kids are hungry on an extended outing, you need snacks if you want to avoid the drive-thru. Homemade granola bars, high protein trail mix, and no-bake sweet and salty energy bites are extremely easy to make from scratch. And I know exactly what’s in them which makes me confident I’m feeding my kids well. 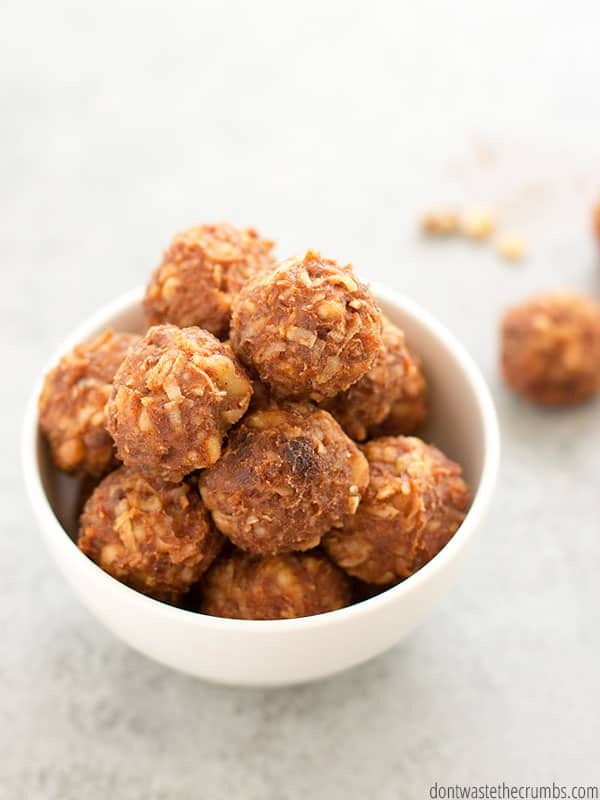 Our latest favorite is pumpkin larabar bites – talk about a healthy snack! Extra Tip: Bars, bites, and trail mixes are a great way to use up random nuts and dried fruits in the pantry. Throw in an assortment of flavors to give your snacks a one-of-a kind taste! Homemade salsa is in high demand at my home. The savings on a big batch of salsa makes it well worth the time spent making it. Our favorite recipe mimics the best salsa we’ve had in restaurants. It’s hard to keep my family out of it if I’m saving it for a recipe! Extra Tip: You can adjust the spiciness of your salsa by adding more or less jalapenos. This recipe is easy to adapt and so simple to make. 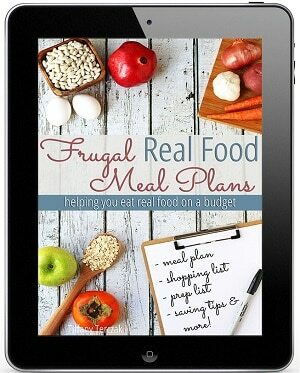 The savings add up fast when you incorporate a lot of bean based foods into your real food menu. 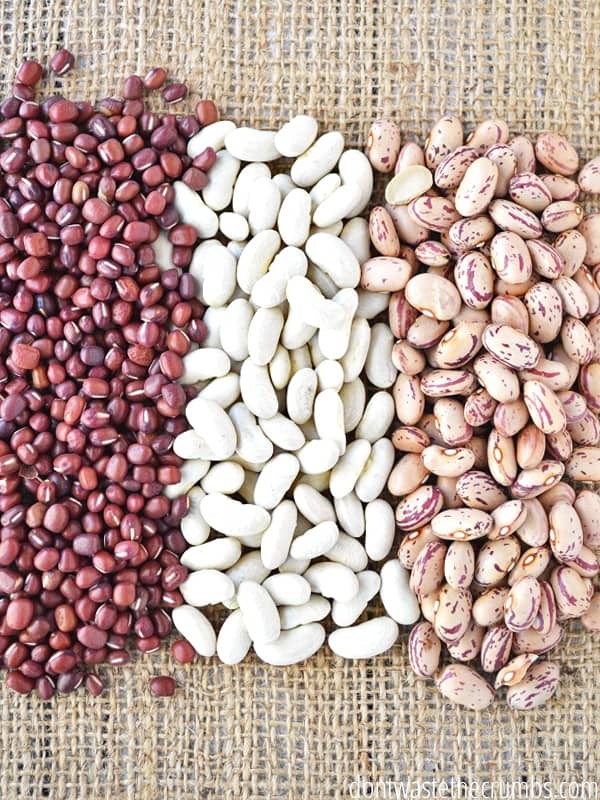 Beans are an inexpensive protein, so even if your family isn’t a huge fan of beans straight up, you can add them to soups, treats, or even smoothies! Extra Tip: Making a big batch of beans for the month and freezing in smaller portions saves you a lot of time spent in the kitchen. De-gas and cook traditionally on the stove top or make them in the slow cooker to reduce kitchen heat in the summer. Like most store bought condiments, BBQ sauce can have a lot of weird ingredients and processed sugars. Making your own gives you knowledge of the ingredients and the flexibility of flavor to suit your taste. Extra Tip: Making a delicious BBQ sauce requires tomato sauce or ketchup. Ketchup can also contain many of the weird ingredients you find in condiments. Instead of buying it you can make your own ketchup, too. Making baked goods from scratch is worth it for me on all levels. 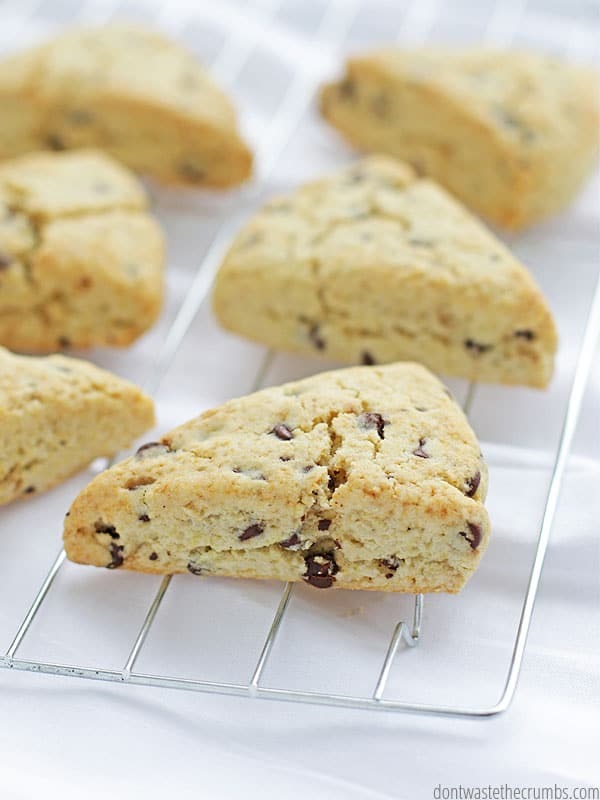 My mini chocolate chip scones are to die for and aren’t complicated to make. I’d much rather take a few extra minutes to put together my own mix instead of opening a pre-made mix from the store. No nasty ingredients and I can tailor to our favorite flavors. I also like to keep a batch of homemade bisquick in the pantry too. 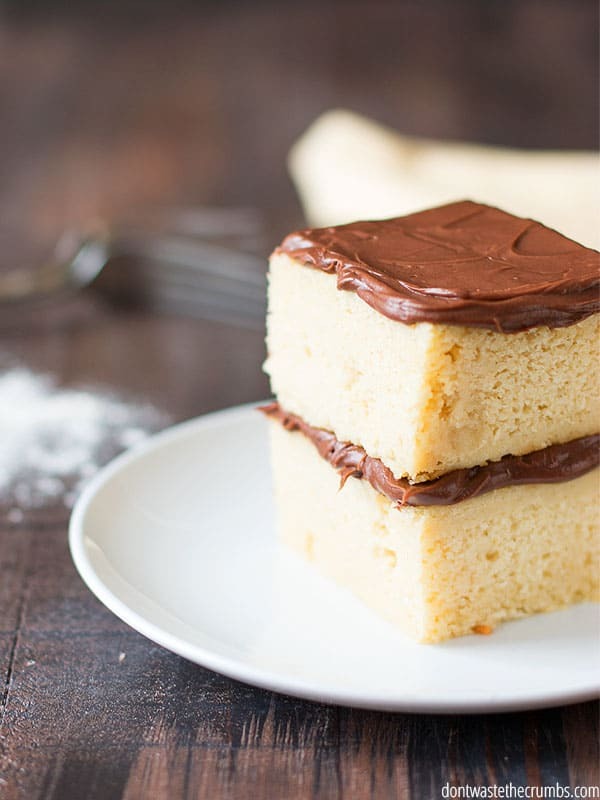 Extra Tip: If you don’t eat baked goods very often, making them from scratch is still a great option. You can easily freeze bread and baked goods and thaw when ready to eat. It’s hard to find mayonnaise at the store that tastes great and isn’t loaded with bad oils and weird ingredients. This fail-proof method is easy to adapt with what you have in the pantry and to accommodate food allergies. Extra Tip: This recipe is easy to double if you need a lot of mayo for a party or recipe. Kombucha gives you amazing digestive health benefits. Following this kombucha recipe saves you TONS of money compared to buying a jar at the store. And aside from the fermentation, making kombucha doesn’t require a lot of time. An added benefit of making your own kombucha is mixing up your favorite flavors! Extra Tips: To save on initial expenses of getting started, you can find some of your supplies at thrift stores or other shops. Or you can get a starter kit from this link here. Extra Tip: This is a huge money saving recipe if your family is gluten-free. My original recipe uses gluten-free flour but can also be substituted for all-purpose. Frozen treats are a necessity over the summer. Cherry Limeade and Coconut Cream are some of my kids’ favorites. Plus, I love to make ice pops using reusable tubes and fruit juice. A delicious way to relive my childhood! Extra Tip: Save fruit juice from canned fruits like pineapples or puree over ripe fruits to add to your next batch of popsicles. It gives you a wider variety of flavors without having to buy juice! 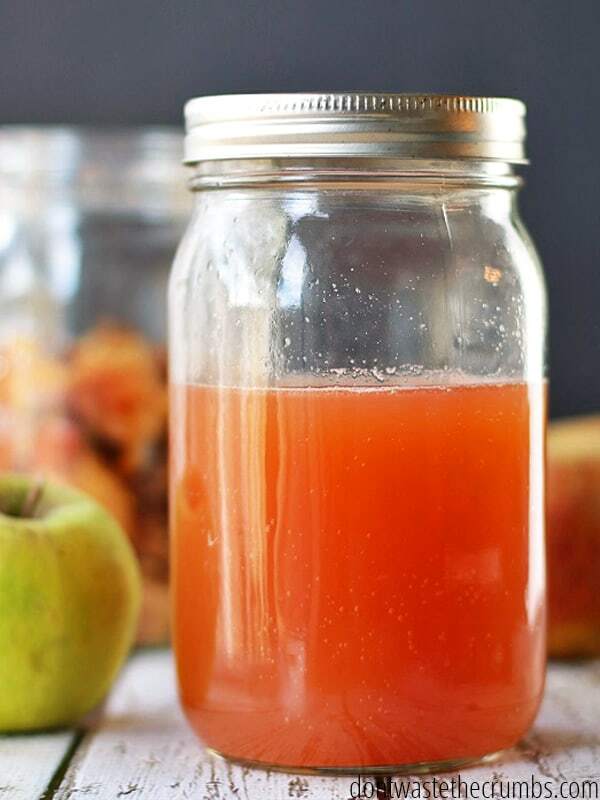 Instead of throwing away the peels and cores of apples, you can make apple cider vinegar right in your pantry. We use it in dressings and chicken stock, but it’s useful beyond the kitchen for things around the house like natural conditioner and removing moles! Extra Tip: Stock up when apples are in season and store apple cores and peels in the freezer until you are ready to make a batch of vinegar. Start a new batch when you are about halfway through the last quart. The foods you prioritize to make from scratch may be different from mine. Come up with your own list of “best foods to make from scratch” and consider what you eat, the nutritional benefits, and the savings you make when you decide to spend extra time in the kitchen. Remember, your time is valuable and so is your sanity! What do you always make from scratch? When do you find it better to buy food? Love this list. 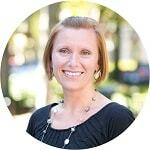 This is something I’ll be coming back to when the real food journey gets overwhelming. Thanks! Thank you so much for the time you put into this list and adding all the links! I can’t wait to get started. I love to make noodles from scratch, but I only have time once or twice a year, so I plan on spending all day, and make several batches to freeze. Otherwise, noodlea ate so cheap at the store, I just buy them most of the year. Most of my baked goods are from scratch, though.